Tazorac is a prescription-only medication that was initially developed to treat acne. However, users reported a great side effect: Not only was their acne decreasing, but Tazorac was smoothing out their fine lines and wrinkles as well. A study published in "Journal Watch Dermatology" found that the active ingredient in Tazorac, Tazarotene, significantly improved the appearance of wrinkles and hyperpigmentation in as little as two weeks. Tazorac is easy to use, but there are some serious warnings you should heed before using this medication. Visit your doctor or dermatologist to discuss your use of Tazorac. The medication is only available in the United States with a prescription. Cleanse your face with warm water and a gentle cleanser. Gently dry your face with a hand towel. Do not use medicated cleansers or alcohol-based toners while you use Tazorac. Apply a thin layer of moisturizer to your face and neck. This will protect your skin from any irritation that Tazorac may cause. The type of moisturizer you use is up to you, but do not use a moisturizer that contains other anti-aging medications such as alpha-hydroxy or salicylic acids. Dispense a pea-sized drop of Tazorac onto your fingertips and gently pat the medication onto the areas of your face affected by wrinkles. Do not apply the medicine to your entire face. Apply Tazorac only once per day before you go to bed. 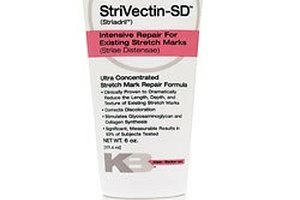 Do not apply more than a pea-sized drop or you will greatly increase your risk of side effects and irritation. In the morning, wash your face with the same gentle cleanser you used in Step 2. Dry your face and apply a moisturizer with sunscreen to your entire face and neck. Tazorac has a tendency to make skin more sensitive to the sun, so always apply at least SPF 15 when you plan on being outdoors. Continue to use Tazorac daily until your doctor says to stop. 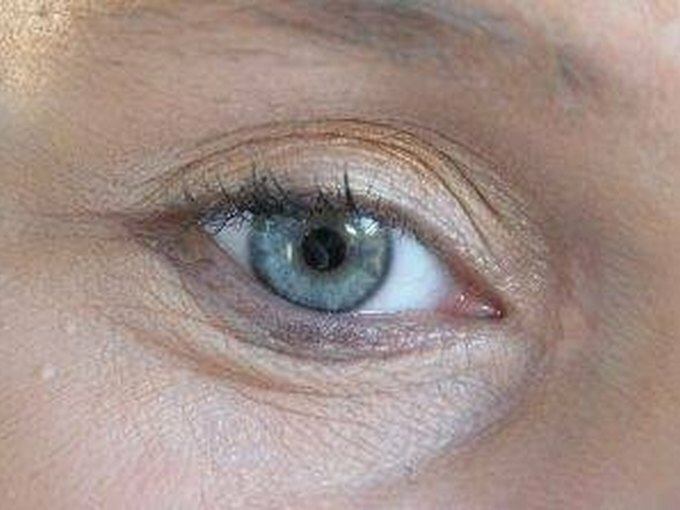 Most users reported seeing smoother skin in as little as two weeks, but you may have to use it more or less depending on the severity of your wrinkles. Your doctor will tell you how long to continue treatment. Do not use Tazorac if you are pregnant. The active ingredient, Tazarotene, has been shown by the FDA to cause birth defects. Your doctor will require you to take a pregnancy test before prescribing Tazorac and you must use some form of birth control while using this product. Your skin may tingle or feel warm when you apply Tazorac; that is normal. If you develop more severe side effects, such as swelling or burning, stop using the medication and talk to your doctor. 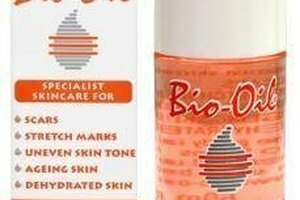 Does Bio-Oil Work on Acne Scars? 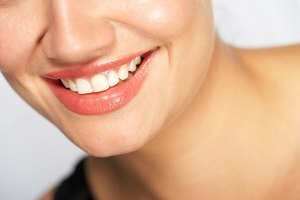 Can I Use Sunless Tanner With Topical Acne Medication?